I went out on a limb with this hutch, usually when I am painting something this big to sell I play it safe and go really neutral but I was tired of neutral. I am glad I took the chance I love the color and the cream stripes add so much charm to an already beautiful piece. I don't have a name for this paint color, as I mixed a few colors together to create it! The paint I was going to originally use was a bit too bright so I added some gray and cream until I got this shade, just perfect for a hutch! It has been lightly distressed and glazed with a dark brown oil based glaze to help all those fun details POP! After everything was painted teal it needed some personality so I added the stripes in the back. How fun are they!! This hutch is for sale! For all the details please see my Furniture For Sale tab at the top of the page! Oh wow!! This is simply beautiful Brooke! I love it, I am glad you went out on a limb too! Oh this turned out just spectacular !!! What a beauty - sure it will go very quickly! so pretty, brooke! love this color! Gorgeous hutch! I really love the stripes and the color choice! Perfection! 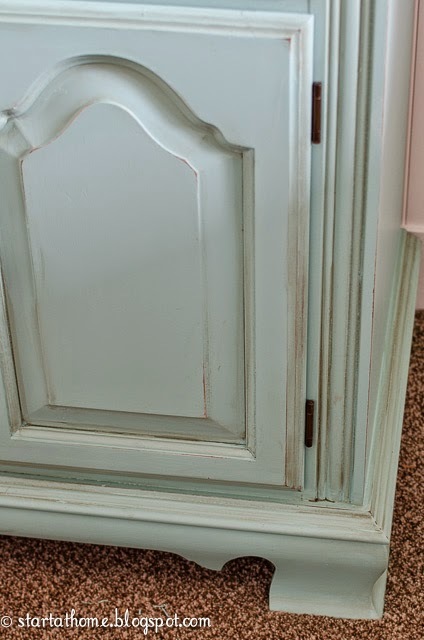 Oh my Brooke I love what you did to this hutch! Gorgeous color and lov'n the stripe detail - so pretty. 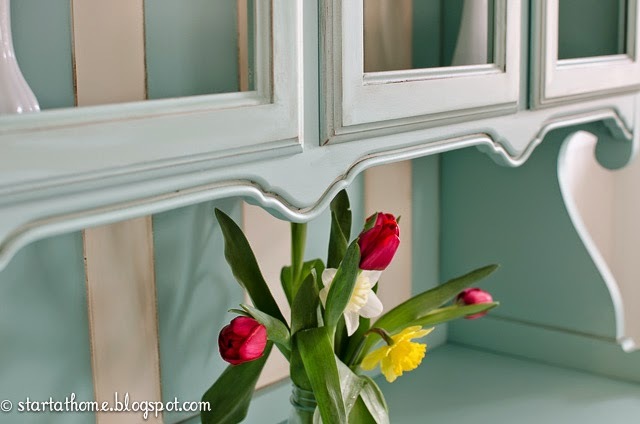 That hutch is awesome--I love what you did with it. The stripes look great! Wow! 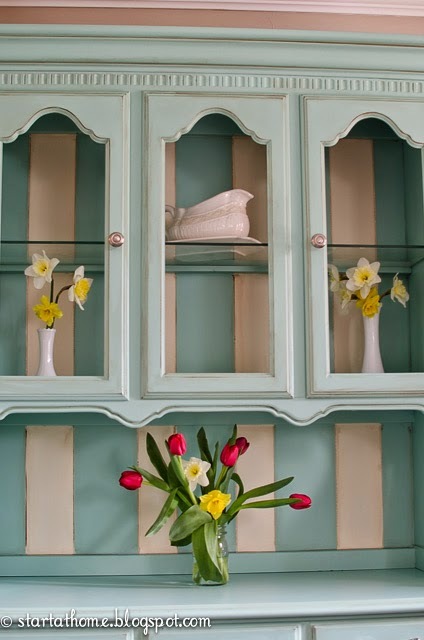 I adore your hutch! I just nominated you for the Liebster Award! 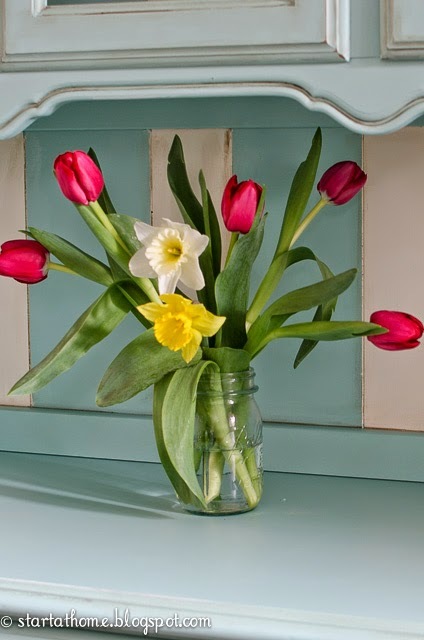 If you'd like to accept, you can find the rules at thecornerfarmhouse.com. Now, I just need to go find a hutch to paint! I love this!!!! The stripes are so much fun. Thanks for linking up to the Be. You. Tiful You link party. I'm going to be featuring you this week so come on over and grab your button on Thursday night. Pinning! 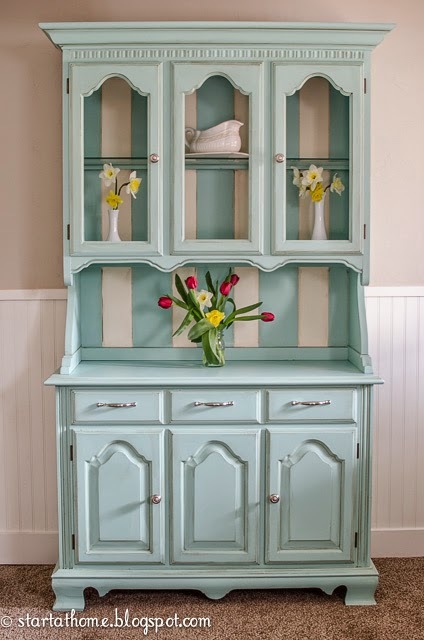 This hutch is absolutely beautiful.The color is stunning!!! Absolutely Beautiful and the color is stunning.Love Love Love!!! My First Free Motion Quilt! !